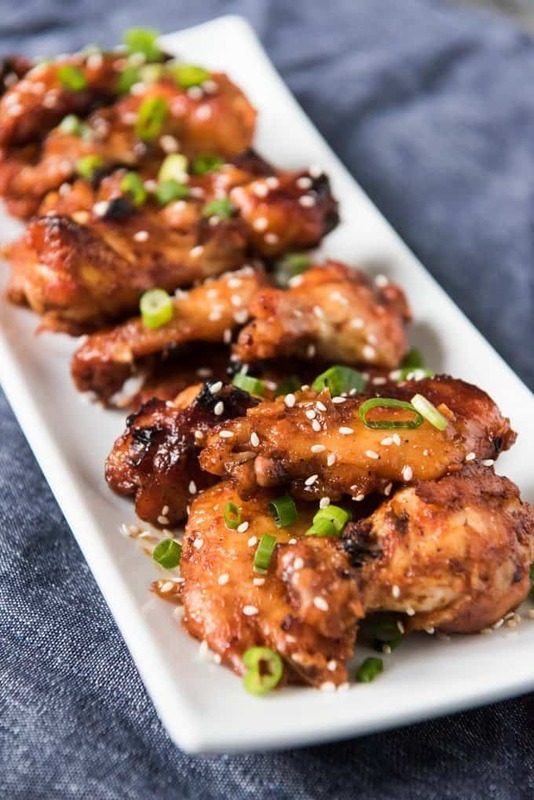 Oven Baked Korean BBQ Chicken Wings are sweet, savory & spicy, thanks to a Korean red chile pepper paste called gochujang that adds fantastic flavor to this Asian-inspired Korean barbecue sauce. When it comes to party food, and especially appetizers for watching sporting events, chicken wings are a classic! 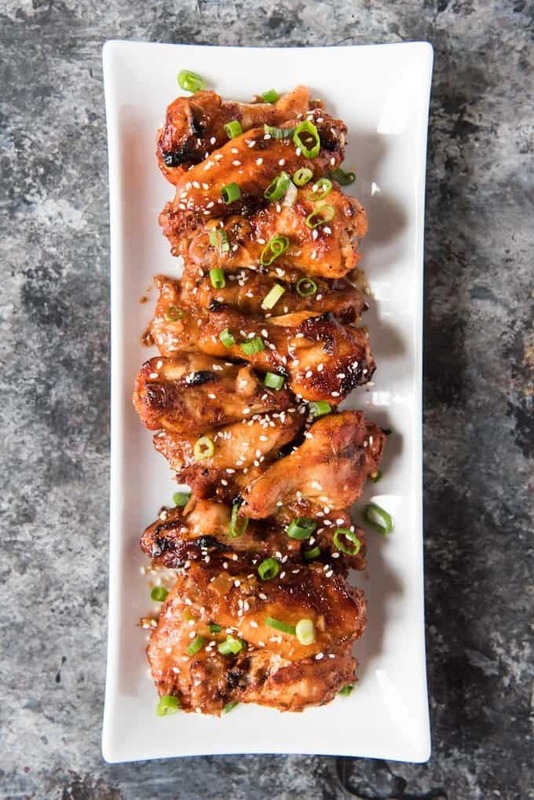 If you want to host a viewing party for the upcoming Winter Olympic games in Pyeongchang, these oven baked Korean BBQ chicken wings would be perfect, right along with the savory Korean pancakes with scallions and dipping sauce that I shared yesterday! If you are looking for more of a dinner option for your Korean-themed dinner, you might also want to try these delectable slow cooker Korean beef short ribs! When I was trying to decide what Korean foods I wanted to make for the Food Blogger Winter Games, I kept coming across a staple ingredient in Korean cooking called gochujang. It is a Korean fermented chili paste made from red chili peppers and miso with a spicy and slightly sweet flavor profile. It’s rising popularity stems from it’s unique flavor (although it bears mentioning that it has similarities to sriracha) and there is a really interesting article about it over on Bon Appetit that you might be interested in reading if you want to learn more about this ingredient. Gochujang can be added to soups and sauces to add flavor, a little bit of spiciness, and complexity to your dish. 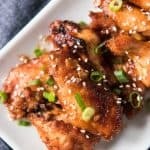 And it is fantastic on these oven baked chicken wings in a Korean BBQ sauce! I love it so much that I basically want to try allllllll the recipes in this slideshow of gochujang recipes, also from Bon Appetit. I’ve also been wanting to make chicken wings at home for a while now, but I knew I didn’t want to deep fry them because I find deep-frying to be both a hassle and intimidating to do more than once or twice a year at home. So instead, I used an oven baked method for cooking these wings that worked out beautifully. Plus, baking the wings in the oven means they are a little bit healthier than their deep fried counterparts. The sauce is made with gochujang, soy sauce, brown sugar, rice wine vinegar, sesame oil, garlic, onion and ginger and it is oh so delicious! Gochujang adds the heat and some incredible umami that is balanced out beautifully with the saltiness of the soy sauce and sweetness of the brown sugar. And the sesame oil, garlic, onion, and ginger really round out the flavor profile. If you wanted, you could combine all of the sauce ingredients on the stovetop in a saucepan and cook until thickened, then toss the oven baked wings in it. That’s the approach taken by Rasa Malaysia, which was one of the recipes I used as inspiration when coming up with these oven baked korean bbq chicken wings. But I opted to marinate the wings instead for a few hours because I like the meat to absorb some of the flavor, not just be coated in it on the outside. It’s totally up to you! My husband and father-in-law especially loved these oven baked chicken wings and kept exclaiming about how good they were. I hope you enjoy them just as much as we did! Oh, and be sure to stop by my Instagram and enter our Food Blogger Winter Games Giveaway! 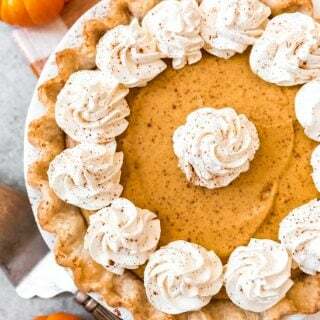 There are 8 amazing prizes from JK Adams, Emile Henry, Kuhn Rikon, Silpat, Joseph Joseph, Cuisinart, Kerrygold, and Breville, and I’d LOVE for you to win one! And keep scrolling past the recipe for all the other amazing recipes representing many other countries that are being shared today about the other bloggers participating in the Food Blogger Winter Games! 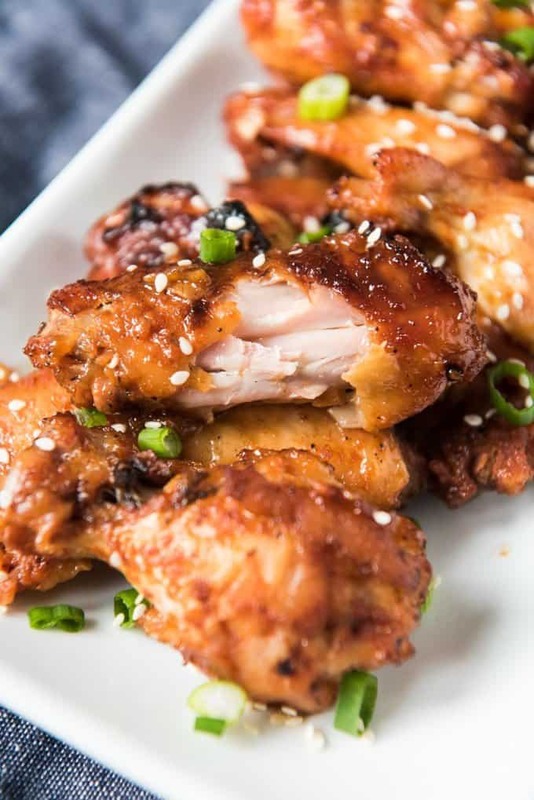 In a medium bowl, whisk together all ingredients for the marinade except for the chicken wings. In a separate large glass bowl or ziploc bag large enough to hold all of the meat, combine the chicken wings with the marinade and toss to coat. Cover or seal the container or bag and efrigerate for 2-4 hours (or up to overnight) to marinate the chicken. When ready to cook the chicken wings, heat oven to 350 degrees. 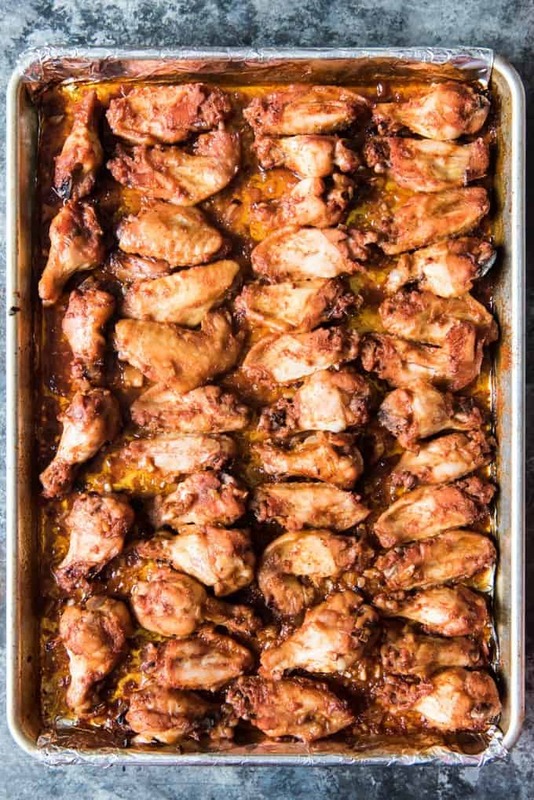 Line a baking sheet with parchment papper, then arrange the wings in a single layer on the baking sheet, pouring any extra marinade on top of the wings. Bake for 45 minutes, then turn the temperature up to 400 degrees and flip each piece of chicken over using tongs, and bake another 15 minutes until cooked through. 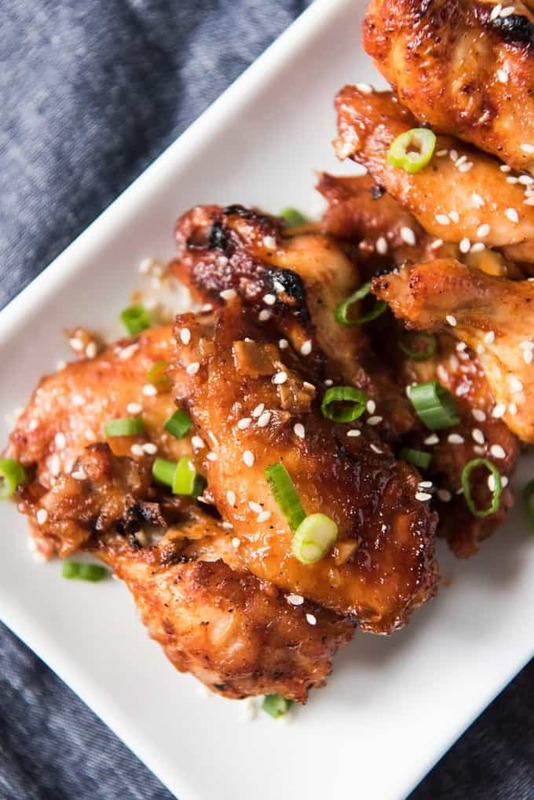 Transfer cooked wings to a serving plate and sprinkle with sesame seeds and chopped scallions before serving. Recipe adapted from Jeanette's Healthy Living. 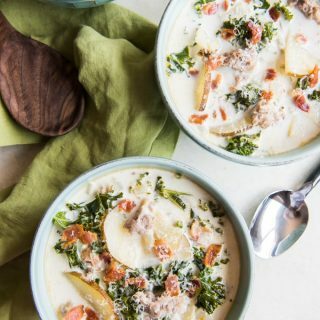 If you want to serve this as a dinner portion instead of as an appetizer, it feeds 4-6 people. 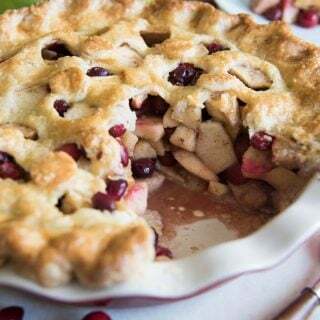 Be sure to check out all of the other incredible foods representing many different countries that have been shared by my foodie friends who are also participating in our Food Blogger Winter Games! And be sure to share the international dishes you are making on social media with the hashtag #foodbloggerwintergames so we can celebrate the start of the 2018 Olympics together! Well I know what we’ll be eating during the opening ceremonies! Ive always wondered what they seasoned the Korean BBQ chicken with and I have all of this at home! Winning! These wings are everything I ever dream the perfect wing being! Love that you made these Korean-style! I love that these are oven baked so I don’t feel bad about eating the whole lot! Great recipe! These are absolutely mouthwatering! I’m loving the oven baked method, too – so much easier and healthier than frying!